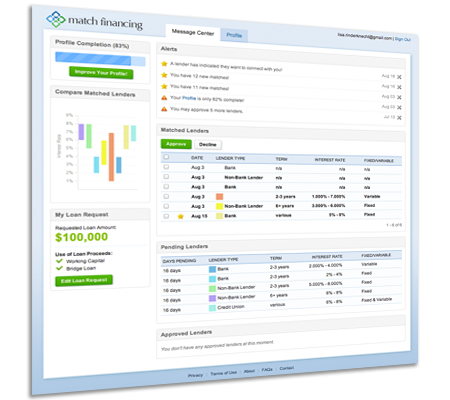 Match Financing helps you find and compare lending sources for your small or medium-sized business. Compare lenders and terms to make the right financing decision. Match Financing is constantly adding new lenders to our database to ensure that you find just the right partner for your business. Using our loan matching software will help you quickly and efficiently preview loan terms that will help your business succeed. Want to refer clients? Click here to become a Preferred Partner? We use SSL encryption to protect your sensitive data and host our servers in a secure off-site facility. 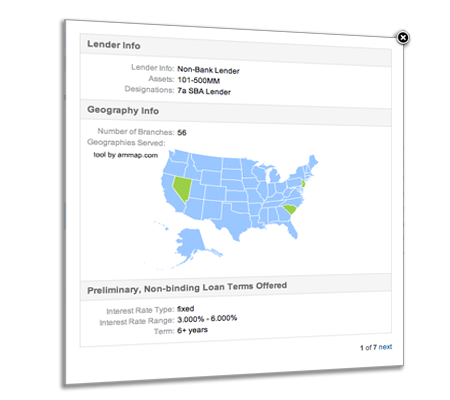 Lender Matches are carefully screened based on the attributes of your business. On Match Financing, your information will only be released to select lenders that are matched specifically based on the attributes of your business. We provide small and medium-sized businesses with an easy way to find and compare lenders who are interested in providing loans for acquisitions, working capital, commercial mortgages, equipment financing, and other common business needs. We make extensive efforts to safeguard your business and loan request information. 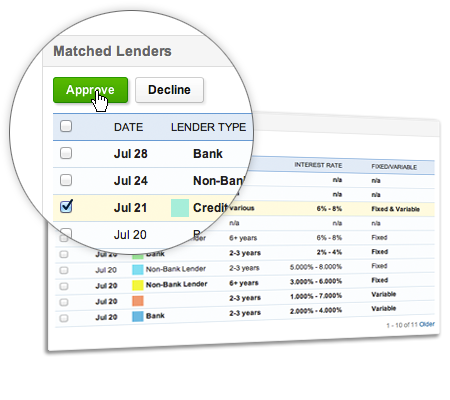 Using Match Financing, you can identify and begin developing relationships with new lending sources in just a few minutes, saving you time that can be spent doing what really adds value – growing your business! We are experts in helping businesses find and access new capital sources. With our proprietary business data collection forms, we provide a simple means to share the financial and business information that lenders need to evaluate your company. We allow you to preview every lender in our database to see things like the institution’s size and whether they provide SBA loans. 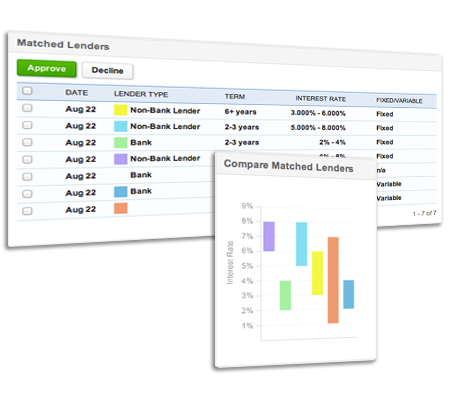 Only specifically matched and pre-screened lenders can access your data and loan request details and you have the ability to target specific lenders based on our proprietary matching process.